Boxes The Type 22 container is the box. It may hold any number of individual balls, or cans of balls. 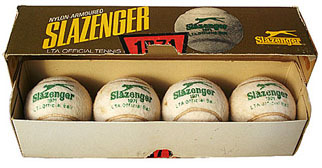 Individual balls are usually packed 1, 3, 4, 6, or 12 per box. They may be loose, individually wrapped in paper, or sealed within a viscose cover. 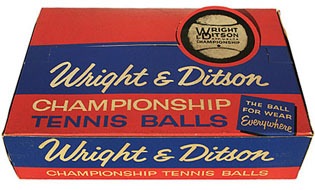 From about 1926 until sometime in the 1960s, balls were available in boxes that contained four cans of tennis balls, each can pressure packed with three balls inside.